TORONTO, ON--(Marketwired - February 25, 2016) - makeplain Corporation is excited to announce that it is rebranding as Daisy Intelligence Corporation. Daisy Intelligence's CEO and makeplain founder, Gary Saarenvirta explains the rebranding, "From the beginning, makeplain's mission has been to provide clients with actionable insights using adaptive, artificial intelligence technology. That mission has not changed: the company is composed of the same dedicated team who simply love to apply math and science to solve business problems. However, during our journey, we found ourselves searching for a new identity that best reflects our personality. 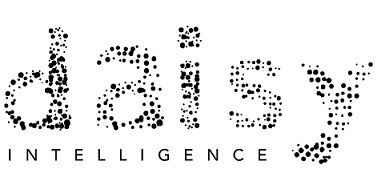 The rebranding to Daisy Intelligence allows us to move forward using a more universal, simple and approachable brand." The name Daisy contains "AI" representing the company's artificial intelligence foundation. The number of petals and the number of spirals of the florets of a daisy flower are Fibonacci numbers, considered math's perfected sequence. In 1961, the IBM 7094 was programmed to sing "Daisy Bell" -- the earliest demonstration of computer speech synthesis. The song "Daisy Bell" was sung again by HAL in "2001: A Space Odyssey". The first line of the song, "Daisy, Daisy give me your answer true", which reflects what Daisy Intelligence strives to deliver to its clients: the facts. "We wanted a name that reflects what we do, continues to appeal to those who are familiar with the industry's history, while attracting and engaging those who have no connection with AI. Our new brand certainly stands out and enables us to do this," continued Gary. The new brand identity was developed by Giants & Gentlemen, a specialty Toronto-based strategy and creative agency that is making waves for their breakthrough work. "Our team became totally enthralled with this rebranding challenge. We fell in love with Daisy and it has been such a rush to be involved in the evolution of a company playing such a key role in the evolution of AI technologies," said Gino Cantalini, Co-Founder and Chief Strategy Officer of G&G. The company will be using the new name immediately and will be altering its marketing material and website to reflect the new name over the coming days. Daisy Intelligence Corporation is an artificial intelligence software-as-a-service company that analyzes very large quantities of our clients' transaction and operational data in order to make automated operational decision recommendations, which retailers can capitalize on to improve their business. Using our proprietary mathematical solutions, Daisy Intelligence analyzes 100% of the tradeoffs inherent in any complex business question and provides weekly, specific recommendations to help their corporate clients grow their total sales, gross/net margin, transactions and customers. New name reflects the company's roots in artificial intelligence technology.